Three years ago Teejay Manley was excluded by his school in Stoke-on-Trent and was spending much of his spare time playing football at the local park. "I was kicked out for something that I see as stupid but shouldn't have done," he says. "I was bit of a nuisance at school. I attended the lessons and did what I had to do. I wasn't bad, just mucking about really, easily distracted." Teejay wanted new friends and a regular place to play football and, on a visit to a local youth club, he found out about the Premier League Kicks project run by Stoke City in the Community. "The first session was at Stansmore Road Sports Court. It was a friendly atmosphere, everyone got along. "It felt right, it was safe and well organised. I enjoyed going every week. It was fun." An Under-17s team was set up for Teejay and his friends to play in and he soon became a regular, taking part in PL Kicks tournaments, such as the one held at the Manchester United AON Training Complex. "The programme works because it's the PL Kicks coaches that get it going. They understand where everybody comes from, their background and the things they get up to. "The coaches don't give you a massive lecture, they explain what is out there. They open our horizons." But as well as developing him as a player, PL Kicks helped to guide Teejay in a new direction. Teejay had planned to study plumbing and electrics but was unable to do so because of colour blindness. Through PL Kicks he was introduced to another programme, Premier League Works, to help him grow his employability skills. "We learnt general life skills, like building confidence and how to communicate with people; skills you really need," Teejay says. "It's about trying to grow you as a person, not just in a job but in everyday life. "It changed me quite a lot. I was quite shy before. It gave me an idea of what I was capable of." That boost in confidence spurred Teejay on. 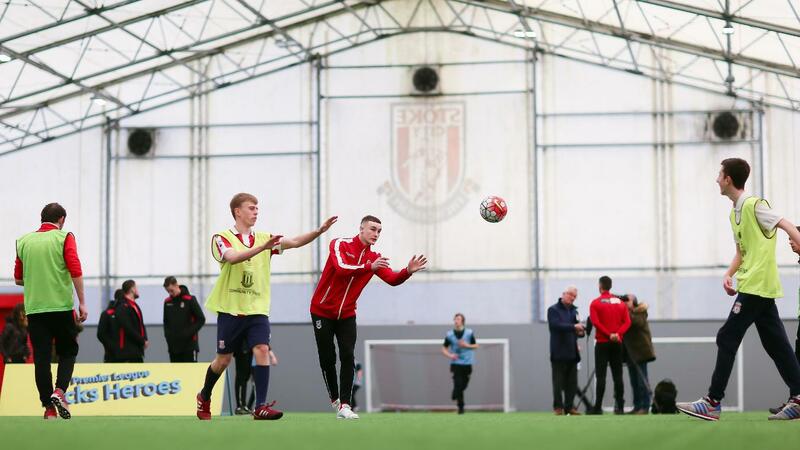 He began volunteering at PL Kicks sessions before starting a traineeship with Stoke City, which included coaching in the local community. His education has not stopped there. Discovering a career in coaching was for him, he is now studying at BTEC in sports, performance and excellence at Newcastle-under-Lyme College. 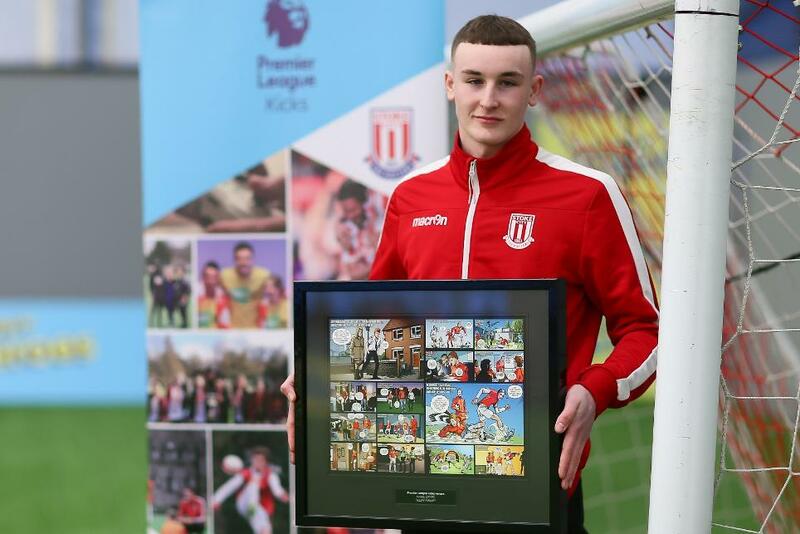 To recognise his progress with Stoke City in the Community, Teejay has been named the club's PL Kicks Hero, a campaign celebrating the 10-year anniversary of the programme. "Being a part of PL Kicks and PL Works has given me something to aim for and has built me as a person. I want to be a full-time coach eventually. "I have worked hard, I have not sat about. I am pleased with myself because I have come a long way since I started. I have built on the platform I have been given."